Beautiful cliff equipped during the autumn winter 2012/2013. 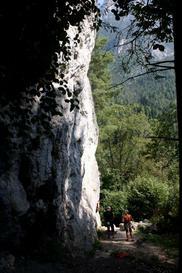 It has a good choice of routes with medium / high difficulty, mainly overhanging. 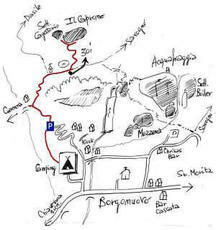 Access: From the campsite, take the road that runs along the embankment of the Valledrana stream to a parking lot. 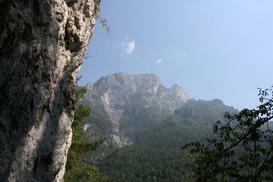 Leave the car and take the path and at the fork a little further on turn towards Savogno - Pigion trail. Pass the deviation for Dasile and a few hundred meters ahead, near a rocky wall, turn left (you can see the little signaling signs) go up the base of the cliff. Distance from the parking about 35 minutes. Exposure: South, It allows you to climb even in the middle of winter. Gear: C. Lisignoli, M. Deghi, M. Geronimi, P. Martocchi, E. Baistrocchi.